As your child gets older, it’s important that you provide them with opportunities to make friends and learn by interacting with others of a similar age. While there is nothing wrong with your child interacting with older children, there are certain things that children can only learn from children at the same or a close age. That being said, it can be difficult to know how exactly to socialize your child and at what age you should start planning play dates with other children. In part one of this series, we will provide you with a few tips that will help you introduce your child to others and guide them toward making new friends. One way that you can help your little one make new friends in the same age group is to enroll them in early childhood education classes. At Valley Child Care and Learning Centers, we have 10 convenient locations throughout Phoenix, making it easy for you to find a child care center that you can trust. We offer a variety of early childhood education classes with curriculums that are designed with your child’s learning abilities in mind. Your little one will have the opportunity to grow, learn, and most of all, make new friends! Learn more by browsing our website or contact one of our convenient locations to schedule a walk-through of our facility today! At What Age Should You Socialize Your Child? Majority of parents want their child to grow up as a friendly and warm-hearted person, and the key to doing so is to socialize them at an early age. The truth of the matter is that babies are born as social beings, and they prefer the sight of other humans to inanimate objects. In order to promote the social instincts that your child is born with, they require constant interaction and communication, which is why it is recommended that you talk to your baby even if they can’t talk back. Babies start to recognize their parents and primary caregivers within the first few months of their life, and over the following months, they will begin to form preferences about the other people they meet. If you decide to introduce your baby to other babies or older children within the first year of their life, it’s important that you do it slowly so that you don’t overwhelm them. With that in mind, it’s a good idea to schedule play dates and have your child get used to playing and sharing with other children before they enter preschool. Starting preschool or another form of early childhood education will automatically expose your child to a variety of new people, and you want them to be prepared and know how to properly interact with others before the first day of school. Play dates are an important part of providing your child with the proper social skills needed for a preschool environment and they are a great way for your little one to interact with both small and larger groups of children. With that in mind, no matter what kind of play date you choose to have, whether it be a day at the park or simply playing at your home, supervision is key. Not only do you want to supervise your child to ensure that they are playing safely, but you also want to be sure that bad behaviors aren’t being reinforced. Behaviors like hitting, not sharing, or failing to include the other child could make it harder for your little one to make friends in a social environment, and they can easily go unnoticed if you aren’t paying close attention. If your child is shy, it can make it harder for them to socialize with other children, which is why taking them to social events or schedule play dates is a great way to help them practice their social skills. Shy children easily get nervous and anxious about social events, so as a way to help ease their nerves, arrive at the event early. Arriving early will give your little one the opportunity to scope out the area and start to feel more comfortable with their surroundings before other children arrive. In addition to helping them acclimate, you also give them the sense that the other kids are joining your kiddo as opposed to the other way around. Interested in Our Early Childhood Education Program? 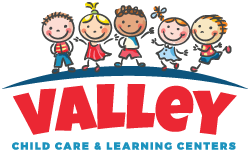 At Valley Child Care and Learning Centers, we strive to provide your child with a safe environment in which they can explore, learn, and grow. Our highly-trained staff have years of experience and will care for your child as if they were their own. 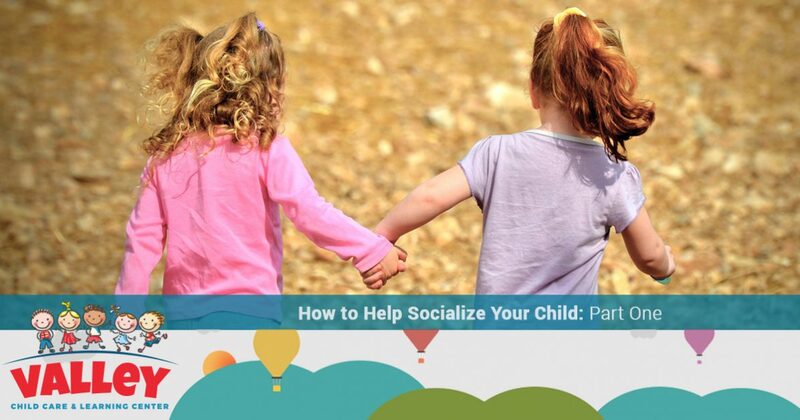 Contact one of Valley Child Care and Learning Centers’ 10 locations in Phoenix to learn more and be sure to keep an eye out for part two of our series for more tips on how to help socialize your child.